HAMMY’S TOP 10…MARVEL CINEMATIC UNIVERSE FILMS! 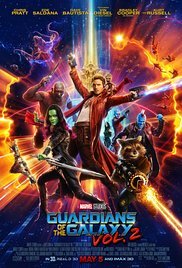 With Guardians of the Galaxy vol.2 already released over here in the UK, and shortly to be released in the U.S., I thought it was about time that I listed my Top 10 MCU films! The Marvel Cinematic Universe has become the franchise that all film companies aspire to possess. Warner Bros have attempted to compete with the DC Universe, and we have plenty more movie ‘universes’ to come. But for now, only one is dominant, and that’s the MCU. Doctor Strange was almost a remake of Iron Man, the film that began the MCU. Arrogant rich man learns how to be humble (well, a little) and a superhero all at the same time. It was the typical MCU origin story, with a lacklustre villain. Benedict Cumberbatch as Steven Strange was also lacking. However, as a visual experience at IMAX 3D it was almost unparalleled. Taking inspiration from The Matrix and Inception, Doctor Strange gave us a visual odyssey to remember. Also, the finale turned to tired old CGI destruction-fest on its head. I’ve not quite fully formed my thoughts on GOTG 2, but here seems an appropriate place for it. Among the MCU sequels, it ranks highly, but that’s not saying much. It’s up against Iron Man 2 and Thor: The Dark World!!! The film tried too hard, was overly bloated and lacked the visual imagination of its predecessor. But it possessed some memorable scenes, and a high hit to joke ratio, and a compelling villain. And, of course, it’s always good to see our Guardians in action (and the opening sequence is undoubtedly the most spectacular in the MCU). Another origin story that played it safe, but did just enough to make it better than average. As with Doctor Strange, the visuals distinguished it from its competitors. Seeing Ant-Man shrink, struggle and survive gave us plenty of eye candy. Paul Rudd was a compelling Scott Lang, as was Michael Douglas as Hank Pym. Of course, it had a poor villain (basically a repeat of the villain in Iron Man) and a forced scene to link it with the wider MCU. But it was exciting, funny and gave us the only superhero finale to involve Thomas the Tank Engine. Kenneth Brannagh made the Shakespearian speaking Thor a winner. It may have been another tale of an arrogant hero being humbled and realising his true power and had other MCU characters forced into the narrative, but the Shakespearian tale of brotherly betrayal and royalty made it an engrossing watch. Chris Hemsworth was another brilliant case of actor fitting a character. And Thor introduced the MCU to its greatest villain: Loki. Smarmy, cunning and wicked, there really is no competition! Hooked on a feeling…what a soundtrack! GOTG is notable first and foremost for its soundtrack, which boasts incredible song choices. It may be an Avengers-lite story, with a group of strangers realising that they are stronger together, but it’s done as a science fiction opera. We see alien worlds, meet aliens species, and meet BIG STAR Chris Pratt. He’s funny and charismatic, but has to compete against a talking tree, a racoon and a former wrestler. The latter, formerly known as Batista in the WWE, is arguably the funniest of the Guardians. But they all have their time to shine (with the token female, Gamorra, in the mix). It’s effortlessly entertaining. Iron Man 3 gets a lot of criticism for its twist, which deflates what could have been a better villain than Loki. I don’t think so, however. The reason for the twist is topical and prescient. The West using terrorism for their own devices? Well I never! Iron Man 2 was awful, but the threequel gave us a Tony Stark film with a few Iron Man scenes sprinkled in. And that’s why I really, really like it. It’s a typical Shane Black film, funny and fairly dark in both tone and humour. It feels like it completes Stark’s character arc from Iron Man to Iron Man 3, just like The Dark Knight trilogy did. Of course, it’s ruined by Avengers: Age of Ultron, but it neatly rounds up the Iron Man trilogy. The first union of The Avengers was a triumph, in many ways. We’d been waiting four years for our B/C List superheroes to join together. When they finally teamed up, all in the same frame, it was a punch-in-the-air moment. The rest of the film was the most entertaining and fun MCU film to date (and that’s saying something!). Yes, the plot may be a load of old tosh, but it relied on the tension of whether our superheroes would work well as a team. It also relied on the greatness of Loki as a villain, and he was even better here than in Thor. Looking at Avengers: Age of Ultron, it’s not easy to get these team-up films right. But Joss Whedon had almost everything spot-on when The Avengers first combined to fight the good fight. In my humble opinion, Captain America: Civil War is the peak of the MCU. After several viewings, its flaws become a lot clearer. There’s too much action, and some of the action scenes drag on for too long. The villain’s plot makes little sense (a complaint you can level at most supervillain plots!). It’s not all that different, in plot terms, from Batman v Superman. However, the bonds we’ve seen forged between our superheroes after eight years on screen makes everything that happens during the film have meaning and resonance. Stark and Rogers may not have a strong friendship, but they respect each other. To see that respect torn asunder is heartbreaking. Count in awesome (if sometimes overlong) fight scenes that feel brutal, an airport brawl that ticks all the comic book geek boxes, and an intimate finale that isn’t a CGI-destruction fest, and you have the finest film in the MCU. Patience, it’s patience that counts when building a universe. It results in brilliance like Civil War. Agree or disagree? Any you’d take away or add? What is your Top 10? His second film is pretty poor, but I’ve always had a soft spot for his first film! Only change I would make would be to switch Thor and Iron Man. Awesome list dude, Marvel really knows what they’re doing (most of the time)! They know how to appeal to the masses and the geeks, which is a fine line to tread! Aye, in Marvel we trust! I agree, but I think Doctor Strange should be higher up. He’s a great hero and it was an amazing movie to watch in 3d. I hope he’ll be back in Infinity War.